Back for episode 2. Improved and shorter at 17 minutes. Perfect for your commute. In this episode, Dr Gandhi Husein interviews Dr Kenny Livingstone, the founder and CEO of Zoomdoc. Zoomdoc is a smartphone app designed to connect patients with local GPs in their area for home visits. They discuss Kenny’s journey to date creating the app, the challenges faced by medical entrepreneurs and what his plans are for the service in the future. One of many things that changed in 2017 was my in car listening habits. Driving to and, in particular, home from work used to be relaxing. But over the course of 2016 and 2017 something changed. I was arriving home more angry, more irritable, more worried. Eventually, I worked it out. It was the radio. My brain was beginning to reject Radio 4’s constant assault of Brexit, Trump and bad news. So I tried something different and started listening to podcast on my iphone instead. Now I arrive at my destination inspired by an insightful interview, informed by a lively debate or perhaps even having learnt something new. I encourage you all to turn off your car radio and try listening to a good podcast instead. To cater to your listening needs and provide a podcast option containing news and interviews from a GP/Tech slant, @DrGandalf52 and I have joined forces to bring you the eGPLearning Podblast. Tuesday lunchtime saw a lively discussion in the staff room at Middle Street Surgery. Dr Puddle, iPhone in one hand and sandwich in the other, proclaimed that everyone’s job was safe! Well, for a little longer at least. He had just heard via Twitter that the North London trail to replace NHS111 call handlers with Babylon’s artificially intelligent chatbot symptom checker had been abandoned. It seems, he went on… That patients, who have to wait days or even weeks for a GP appointment, might deliberately game the symptom checker if they think it will get them a quicker appointment. Dr Puddle looked up and around at a room of knowing looks and unsurprised faces. There are a finite number of GPs, nurses and appointments and a seemingly unquenchable demand. Getting an appointment can often feel like a competition. When systems change, patients wise up quickly and soon learn how to maximise their chance of getting an appointment. Call earlier, ring at certain times of the day when slots are released, drop in as the surgery opens. A new equilibrium is quickly reached. New ways of booking an appointment don’t change things for long if the problem is that there aren’t enough appointments in the first place. Attempts to improve capacity by simply improving access can backfire and overwhelm already over stretched services. On 22 of June Helen Stokes came to visit Nottingham and spoke to local GPs at an RCGP Vale of Trent Faculty evening event. She spoke about “The Future of GP” and was quizzed by questions from members. In an RCGP first, the event was streamed live on the faculties facebook page. It was great fun for our team to experiment with new technology and innovate. 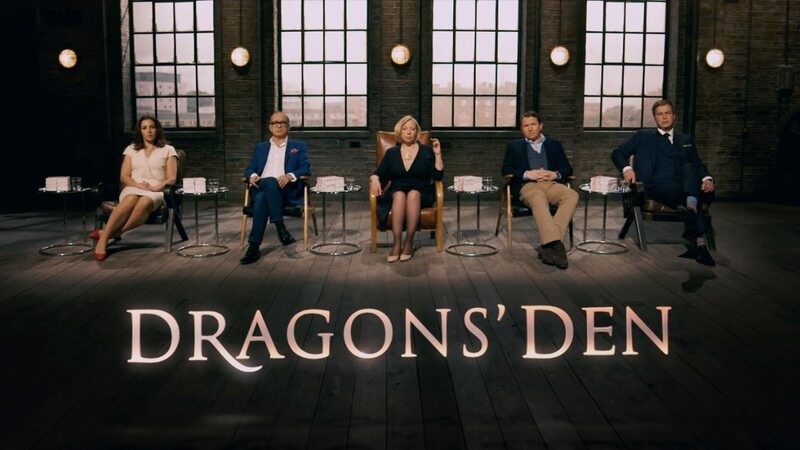 When picturing an entrepreneurial pitch, most people’s minds will turn to the popular BBC TV show Dragon’s Den. Business owners braving the scrutiny of the rich, experienced and powerful dragons in a make or break attempt to win funding over 10, or so, awkward minutes. However, pitching a company or idea can take many different forms. The audience isn’t always an investor. Other people also need convincing that your business will work. Key employees, customers, partner’s, family and friends will all need persuading at times. And, often this persuading is accomplished over many conversations, rather than a single event. Some consider the reality of successful pitching more like dating. You need to show up, make a good impression, put in some effort and show passion. But, at least initially, leave them wanting more and give them a reason to look forward to that next date. Our journey through this 5 part series exploring the world of entrepreneurs and medical startups is nearly at an end. We have travelled through the process of becoming a founder, finding a good service or product idea, assembling a winning startup team, and identifying sources of funding. Today, in this final installment, we will examine the important skill of delivering a good pitch. In this post, we will explore general tips for delivering a good pitch and consider some of the building blocks for constructing a versatile “pitch deck”. A useful resource to support pitching to a variety of audiences. Workforce issues consistently appear the near top of lists of problems facing general practice. GP Trainees and First5s look their more senior colleagues and see some of them struggling to cope with workload and stress. The pressure to do all they can to find the right job for them, at the right practice, is felt keener than ever. Practices are finding it difficult to fill positions, particularly partnership roles. Many fear that they may become unsustainable if they cannot recruit to replace those retiring or moving on. In this video I talk to a group of First5 and ST3 GP registrars about the process of finding and securing a good post. If you are a new, or not so new, GP searching for a job then I hope the presentation will be useful. For practices looking to recruit, the discussion and questions from new GPs offer an interesting insight into the their concerns and priorities. These might help you also in your search for the right candidate. For more videos from the RCGP Vale of Trent Transitions2017 Conference, click here. I hope you enjoyed this post. Please share with friends and colleagues, click here to follow me on twitter and leave a comment below. Remember to sign up for free updates when I post new material using the “Subscribe To” box in the top right of the site. Just enter your email address below and you'll get an email every time I publish a new post!